On 9 Sep HAWKS Ed Duffy and Sam Fuson conducted a test play of Panzer Kids Deluxe with Alzheimer’s Patients from Cross Keys Village. 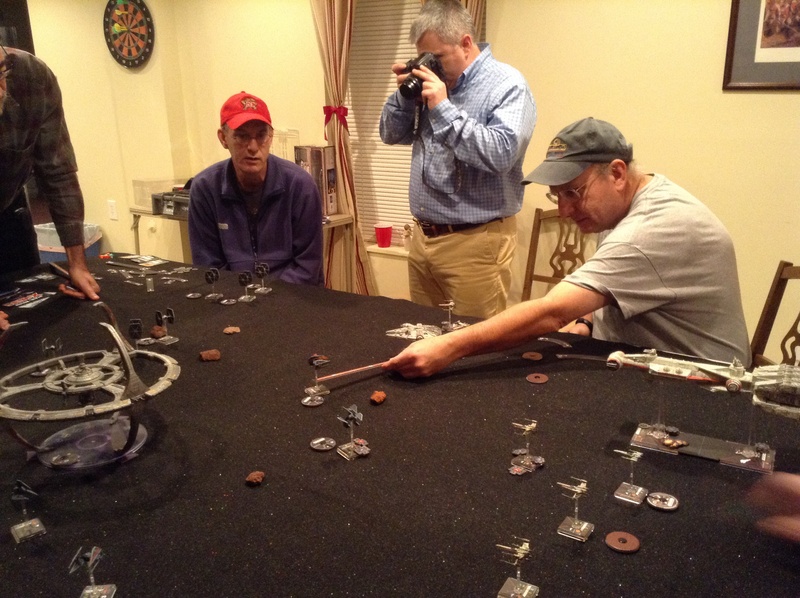 I’ve attached two pictures, one of the table set up for play and second a post game photo with all the participants. A staff member from the facility monitored and assisted in running the event. Across the board this was a successful test; the players were engaged, had fun and said they enjoyed destroying each other’s tanks. Our goals were to promote thinking by running a Problem Solving Exercise, push motor functions, use lots of colors (eye stimulation/brain function) and do something they’ve never done. The Germans and Italians fought against the British and French in an early war scenario (non-historic). Each player (there were 6 players and two observers) controlled 3 tanks. Early on as I explained the rules we saw that we needed to adjust the complexity of the game down. We simplified the rules to a point where most of the players understood what was going on and game mechanics. The players had a pretty wide range of ability to comprehend and actively participate. The staff along with Ed, Kathy (my wife) and I feel we hit a good functional level so that the participants didn’t get confused or frustrated. 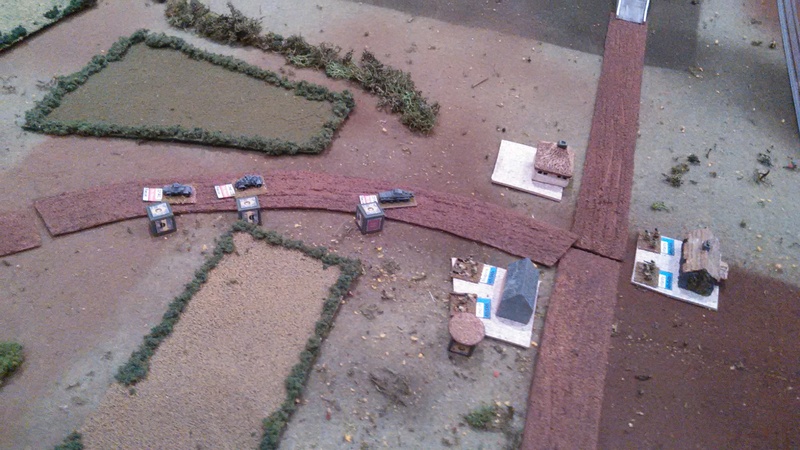 Fundamentally, they enjoyed moving vehicles and rolling dice. They made their own decisions on what to do after prompting. 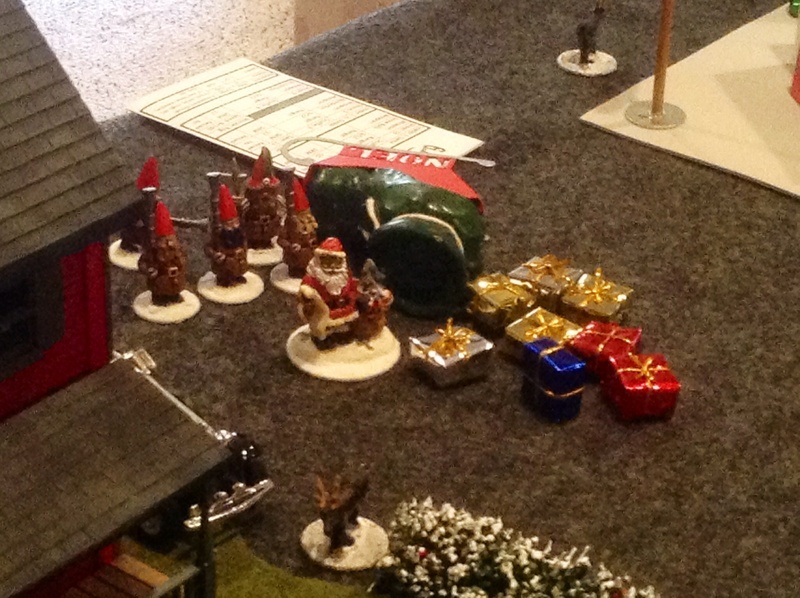 The players followed our lead and we guided them through play, announcing the results of their rolls etc. Bottom Line: They want us to come back; the look on the players faces on the post game photo shows much; we had fun. We used game dice and rules provided by Peter Schweighofer; Thanks to Peter and all the HAWKS for sponsoring this event. Final note. 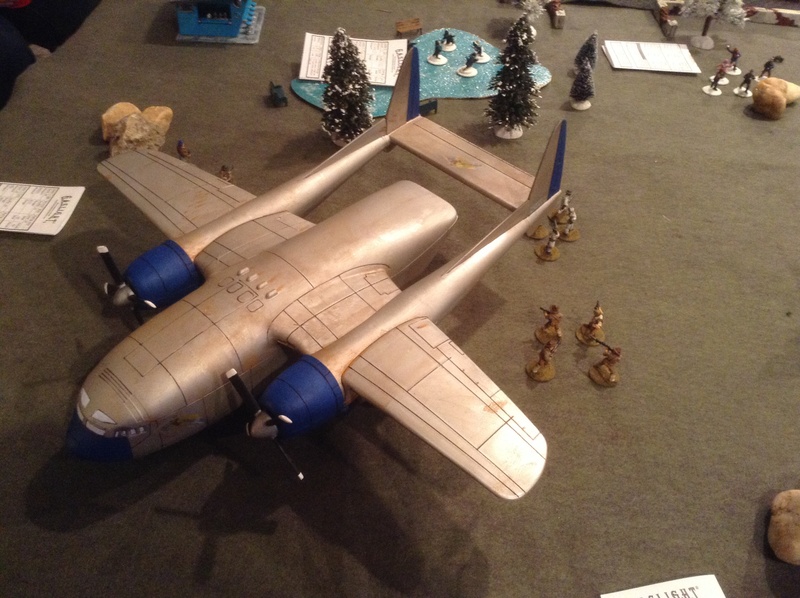 One of the players, named Ed, was a WWII Bombardier on a B24 Bomber. He wanted to know where the planes were to support his attack!! Don Hogge running Island Raid pt1 using Battleground rules during the first session at NASHCON. The Hawks are Heading to Nashcon today! See you all there! 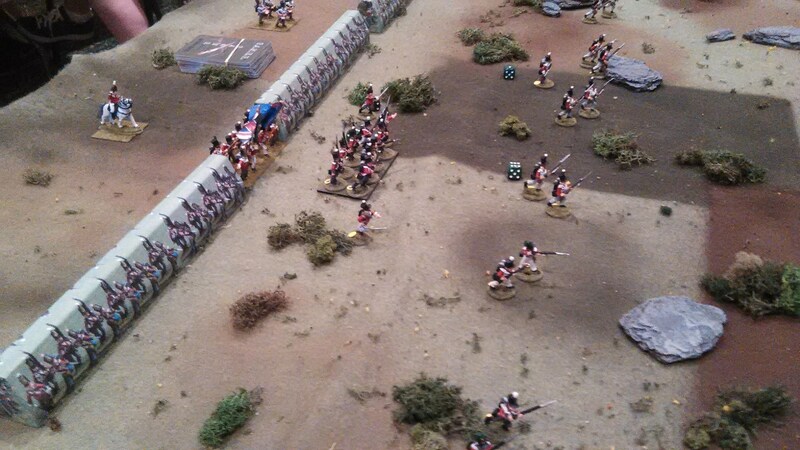 Friday morning Duncan Adams ran a Napoleonic skirmish game, using modified G.A.M.E.R. 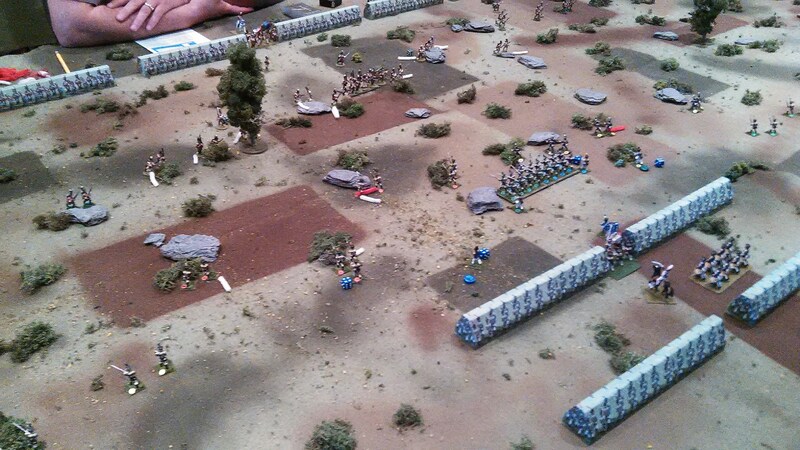 Rules, in which two skirmish lines did battle as the opposing battalions behind them drew ever closer. 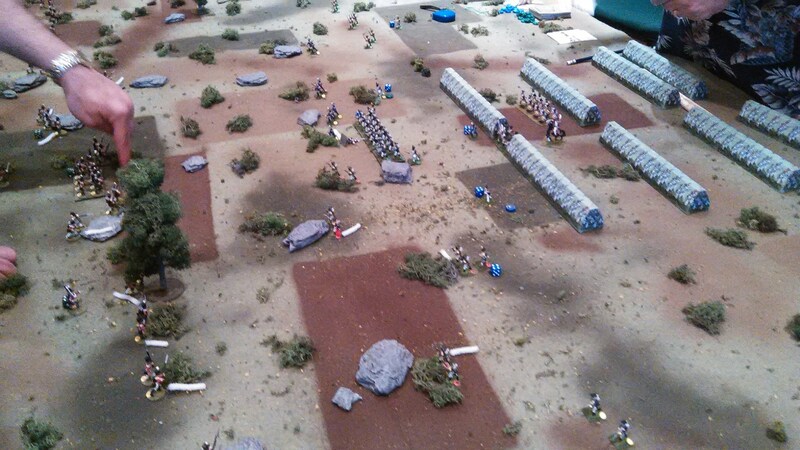 The British Light Infantry masses in the center. 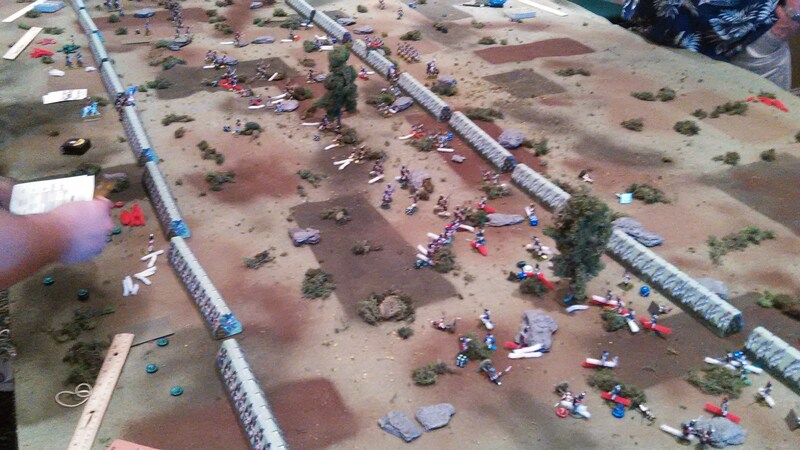 The French Column steadily grinds forward. 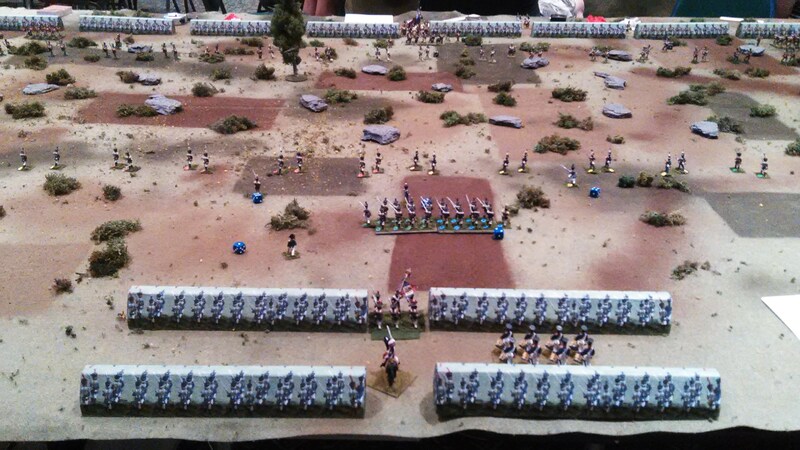 The French Column deploys into line. 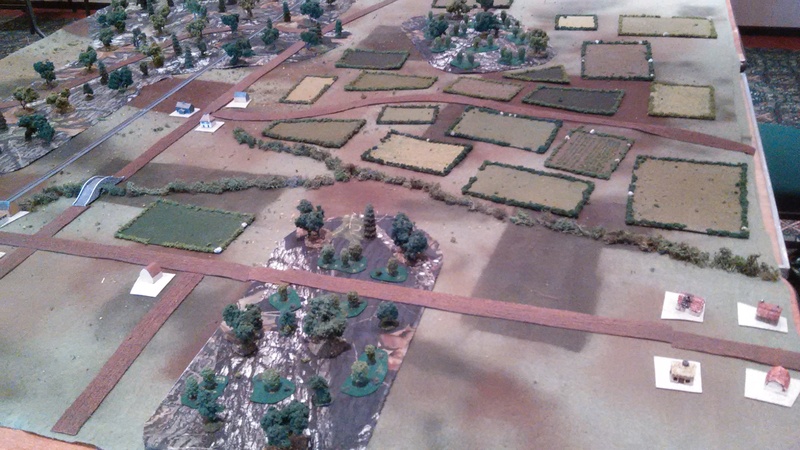 Despite a valiant effort by the French light troops both phases of the game were won handily by the British. Quiet village in the path of the German onslaught. 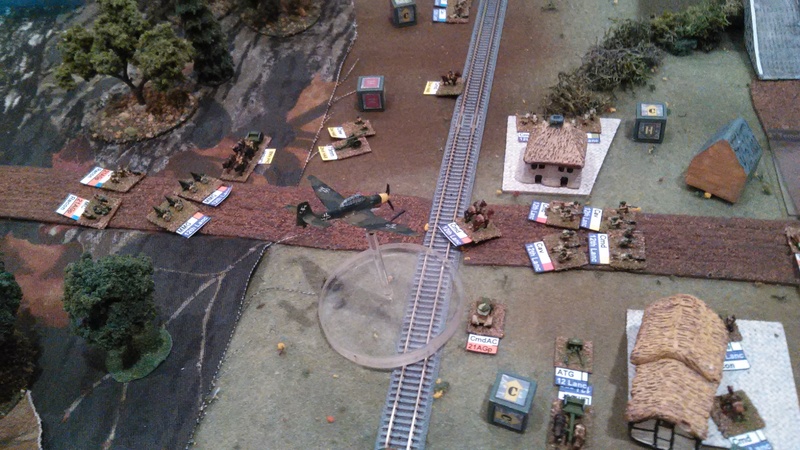 Duncan Adams’ Thursday evening game at Historicon: Mokra, Poland, 1 Sept, 1939. Using “Command Decision: Test of Battle” and micro armor. A German recon company approaches the Polish left. More recon closes on the center. 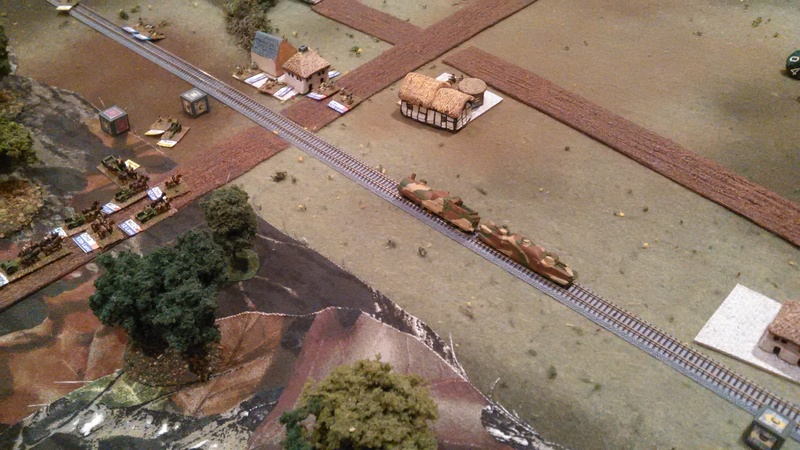 Polish support arrives in the form of an armored train. 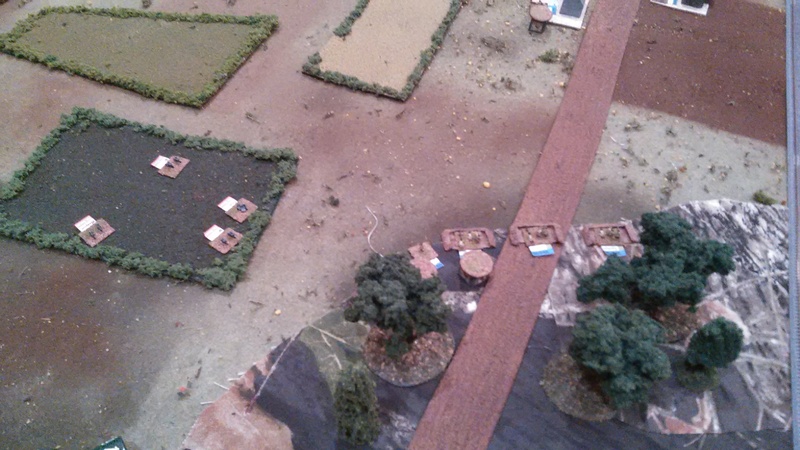 Their attack stalled, the Germans call in the Stukas.